Sorry to the faithful readers of this blog for the late post of my rankings. Over the Fourth of July weekend, I was busy enjoying the beach, cookouts, parades, and my close friends. There was simply no time to get to a computer and quite frankly no desire to get to a computer either. But good things come to those who wait and here you are with my Week 13 rankings! Cliff Lee’s stat line for the month of June? 5-0 with an ERA of 0.21. He pitched 42 innings giving up 21 hits with 29 strikeouts. Lee gave up just 1 run in all of June. If I had more time on my hands (or if this blogging was a full-time job) I would do some research and find if any pitcher in the history of Major League Baseball has had a comprable month. I strongly doubt any one has. Not Cy Young, not Koufax, not Gibson, not even Pedro. After praising Cliff Lee, it would be unfair of me if I didn’t mention the recent run CC Sabathia has been on, thus eliminating my comparisons to Koufax, Young, Gibson, and Pedro. CC is 4-0 in his last 4 starts having gone no less than 7 innings in each. Overall? 4-0 in 29.2 innings giving up 9 earned runs and striking out 32. His last loss was to the Red Sox. He is 8-1 in his last nine starts. Last season Ryan Kalish had his opportunity to audition for the rights to replace JD Drew in right field for the 2012 season. Red Sox fans fell in love with Kalish’s grit and hustle reminding Red Sox fans of Trot Nixon. This year, its been Josh Reddick’s turn to audition for said job vacancy. And he has been…dare I say it…Reddickulous. In 18 games and 47 at bats, the Stifler look-a-like is hitting .404 with a home run and 10 rbi’s. When it comes time to decide who is trade bait and who is here to stay in Boston, the decision will not be an easy one and should get more press than LeBron’s decision. I’ll be the first to say that I didn’t give the Braves a chance in contending for the playoffs this season. I figured they would never compete with Philly and weren’t good enough to stay in a wild card race to boot. So far they have proven me wrong. They sit 4 games back of the Phillies and are 4 games up on the Diamondbacks for the NL Wild Card. Brian McCann leads the team in all major offensive categories and Jair Jurrgens and Tommy Hanson have been nearly unhittable. Craig Kimbrell and Jonny Venters have closed the door time and time again. This is me eating my words. The slogan for the San Francisco Giants 2011 campaign has been Pitching + Resilience = Victory. It is hard to argue that formula considering the Giants are 27th in all of baseball in runs scored with just 312. Yet they find themselves in first place in the NL West by 2 games over the Diamondbacks. John Shea wrote in the San Francisco Chronicle that Giants have given their pitchers the worst home field run support since 1902. At this point what history tells us doesn’t matter as the Giants continue to defy anything that can demonstrate reasonable thought. So just a quick look at the Rays through the first half of the season with a fun game called “Who’d you Rather?” Carlos Pena (.228,17, 44) or Casey Kotchman (.338, 3, 25)? Rafael Sorian0 (5.40 ERA and on 60 day DL) or Kyle Farnsworth (2.08 ERA with 17 saves)? or lastly Matt Garza (4-7, 3.77 ERA) or Jeremy Hellickson (8-7 3.21 ERA)? Keep in mind the Rays players are getting paid millions of dollars less than those they replaced. I’d say Tampa has been surprised many (including myself) with how they have been able to stay competitive in the toughest division in baseball. Asdrubal Cabrera has gotten the start at shortstop for the American League in the 2011 All Star Game. And it is much deserved. Last season Cabrera played in just 97 games and hit .276 with 3 home runs and 29 runs batted in. In 83 games so far this year, Cabrera is hitting .293 and has 14 home runs and 49 runs batted in. I think he already has won the most improved player in all of baseball award. The All-Star honor has been earned. The Cardinals received news today that Albert Pujols is in fact, not human and is a machine. Pujols was activated from the disabled list today (a month ahead of schedule) returning from a broken left wrist. The injury happened back on June 19 and Cardinals brass were concerned that he wouldn’t be back until August. 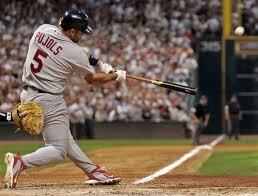 It is truly amazing that Pujols was able to recover so quickly. Okay, I’ll say it. HGH anyone? I have given props to Justin Upton, JJ Putz, Ian Kennedy, and Daniel Hudson for the Diamondbacks success this season. Hell, I have even given Josh Collmenter a shout out. But I have slept on Chris Young pretty much all year. He is hitting .261 but has quietly put up some rather nice power numbers, clubbing 16 home runs with 47 runs batted in. The 27-year-old has also stole 11 bases on the season. Since losing 6 in a row in early June, the Angels have gone 11-3 and gotten themselves right back in the thick of the AL West pennant race. I made it a regular habit in the season to blast Vernon Wells at every opportunity but now is a time to give the man his due. He has homered 5 times in his last 10 games, has 10 rbi’s in those 10 games, and has seen his average climb from .205 to .213 in that time. One really has to wonder if there is anything to Josh Hamilton’s claim that his blue eyes are to blame for his day time woes at the plate. During the day Hamilton is hitting .113 in 15 games and 53 at bats. He has 4 runs batted in and 0 home runs. At night Hamilton is hitting .362 with 10 home runs and 37 runs batted in. Being that he is on my fantasy baseball team, I am seriously considering petitioning the MLB to allow Texas to play only night games the rest of the season. As good as CC Sabathia was in the month of June, Justin Verlander was better earning him pitcher of the month honors. Verlander was 6-0 with a 0.92 ERA. He had 54 strikeouts and 6 walks, 2 complete games, 1 shutout, and 49 innings pitched. I sincerely believe that Verlander is the best pitcher in the American League, period. Prince Fielder wasn’t only named to captain the National League’s Home Derby team this year but he was also named the player of the month in June. I have no problem with Prince being named captain and no problem with him being named player of the month, but putting Rickie Weeks on the National League Home Run Derby squad? C’mon Prince! How can you snub the National League leader in home runs in Lance Berkman? Or pick Rickie over Jay Bruce? Weeks is 12th in the National League in home runs! I don’t know if I am more shocked about the Casey Anthony verdict or about the Pirates being contenders. The Pirates are 3 games over .500. This is the latest the Pirates have been in contention since 1992, when Bonds, Bonilla, and Wakefield were the playmakers on the roster. 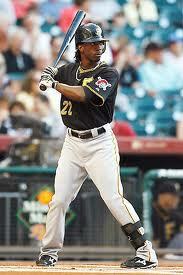 Now they are led by Andrew McCutchen, Jose Tabata, and Neil Walker. They are just 1.5 games back of St. Louis for the division lead. The question will remain all season how long the Pirates can stay in the pennant race. With the talent of the Cardinals, Reds, and Brewers rosters, I don’t think they will be in the race come September. The only reason to watch the Mets so far this year has been Jose Reyes. But he strained his left hamstring over the weekend and is listed day-to-day. I am really interested to see if the Mets deal Reyes around the deadline. They should receive a hefty return considering Reyes has been the best player in the National League this year. I would think the Braves, Reds, Brewers, and Giants would be among the organizations calling the Mets front office. I really need someone to explain to me why Carlos Quentin is going to the All Star Game as the White Sox representative and Paul Konerko was snubbed. Paul Konerko is hitting .319, Quentin .253. Konerko has 21 home runs, Quentin 17 home runs. Konerko has 62 runs batted in, Quentin 47. Am I missing something? The Nationals have surprised many by playing .500 baseball to this point in the season. 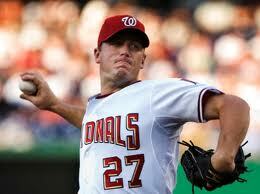 Jordan Zimmerman is 5-7 on the season but his record doesn’t tell how outstanding he has been this season. Zimmerman has a 2.82 ERA and a 1.10 WHIP. The 25-year-old has also struck out 92 in 91.1 innings pitched. When Zimmerman takes the hill, he always gives his team a chance to win. Ready for a name from the past? Dontrelle Willis. Yes, that Dontrelle Willis. With Bronson Arroyo a bit banged up, there is rumors that Willis will get called up to replace Bronson in the rotation. Willis claims he is in the best shape of his life. He currently has a 2.63 ERA in 13 starts in Triple A Louisville. The Mariners lost one of its three aces to injury earlier in the week when (you guessed it) Erik Bedard went on the 15 day disabled list with a leg issue. Bedard is 4-6 with an ERA of 3.00. That is further proof that the Mariners need to do everything in their power to go out and get a bat to help their putrid offense. Jose Bautista has 28 home runs and just 58 runs batted in on the season. Could you imagine the numbers he would be putting up if someone could get on base for him? He is basically averaging 2 runs per home run. If the Blue Jays could surround him with some on base percentage guys, the Blue Jays offense would be very scary. The All Star Break couldn’t come at a better time for the Rockies. Both Carlos Gonzalez (wrist) and Troy Tulowitzki (quad) are banged up. On a brighter note Ty Wigginton has heated up hitting 3 home runs and 8 runs batted in his last 10 games. With CarGo and Tulo out, the Rockies will need all the offense they can get. Wigginton can certainly provide it. Since the Padres lost 6 in a row in mid-June, they have gone 9-3 in their last 12 games. Don’t let the run fool you. They are still 9 games out of first in the NL West and will not get any closer to the pennant than that. The fire sale of their strong bullpen will be under way sooner rather than later. You know about Heath Bell but here are some other names to watch: Mike Adams, Luke Gregerson, Chad Qualls, and Ernesto Frieri. The Marlins acquired Mike Cameron from the Red Sox today for cash considerations and a player to be named later. I was surprised the Marlins would be interested in Cameron because of what I thought was a logjam in the outfield. The Marlins have Mike Stanton, Emilio Bonifacio, Logan Morrison, and Chirs Coghlan. Upon further review, Coghlan is in the minors. And none of the other three are hitting better than .270. The Twins were bitten by the injury bug yet again on Tuesday night. Scott Baker was removed from the game after sailing through 5 innings against the Rays because of a forearm strain. The 2011 season has seen long stretches on the DL from Joe Mauer, Delmon Young, Justin Morneau, Jim Thome, Denard Spann, and now possibly Baker. I still boldly predict the Twins will be in the AL Central pennant race come September. The A’s dealt away Mark Ellis this week to the Rockies. This move assured Jemile Weeks of a starting job at second base without having him look over his shoulder the rest of the way. Now the A’s need to acquire some bats much like Seattle does to support their stellar pitching. Oh and a side note, Brian Fuentes is God awful. Mark Reynolds is so hot right now, if you were to touch him, you’d likely get first degree burns. Reynolds has 7 home runs and 12 rbi’s in his last 8 games. His average has also climbed to .233. The problem is he leads the majors in errors with 20. The news out of Los Angeles just gets worse and worse. The Dodgers have gone bankrupt. There are rumors that some of the Dodger employees’ checks have bounced. They still owe Manny Ramirez $8.3 million. And now one of their starters, Jon Garland is out for the season. He is expected to have season ending surgery sometime in the next few weeks. That would be another waste of $5 million for the McCourt’s. There really isn’t much to say about the Cubs other than they continue to be the lovable losers. I honestly don’t think I would have the emotional stability to watch my team be so terrifically awful for so many years. The only bright spot for the Cubs is the play of Starlin Castro. Yes, he has made 16 errors but he is hitting .307 with 38 runs batted in. Alex Gordon has made the ballot for the Final Vote in the 2011 All Star Game. 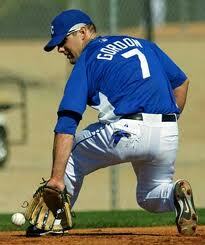 I personally think Gordon should have made the first vote to go to Arizona. 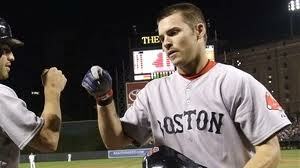 He is hitting .296 with 10 home runs and 46 runs batted in. It is sad that Gordon plays in such a small market and will in no way be voted the 34th man for the festivities. What is also difficult is he is up against Paul Konerko who is the biggest snub in all of the All Star process. Is it me or does Hunter Pence look like the most unorthodox baseball player in the history of the sport? Don’t get me wrong he puts up numbers. But his swing his ugly, the way he throws is ugly, hell the way he runs is ugly! .325, 10, and 47 is not ugly however.